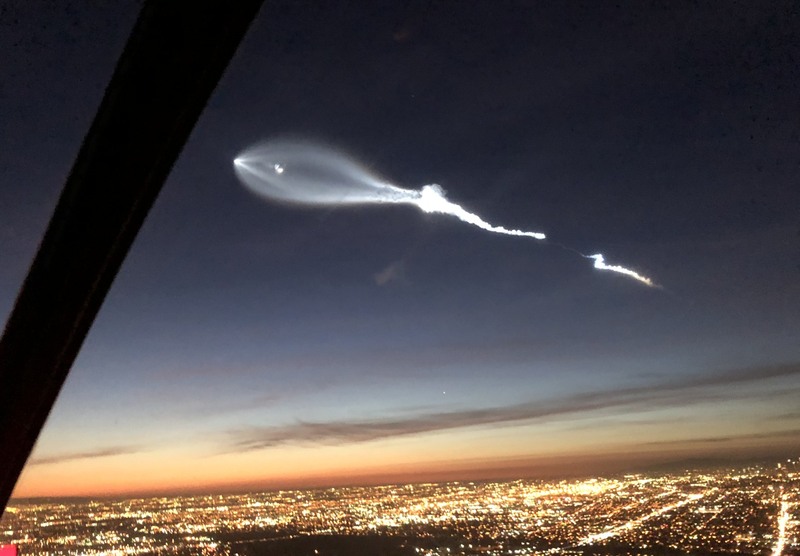 It seems like everyone in southern California is looking up and asking "what is that?" this evening, and after revelations earlier this week about government investigations into unidentified flying objects, UFO is a popular answer. In truth, the trails were left by a SpaceX launch in the last hour from Vandenberg Air Force Base in Santa Barbara, CA. You can watch a live video feed of the launch below.